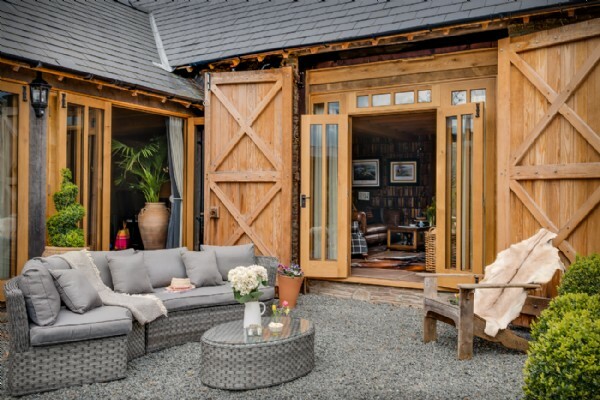 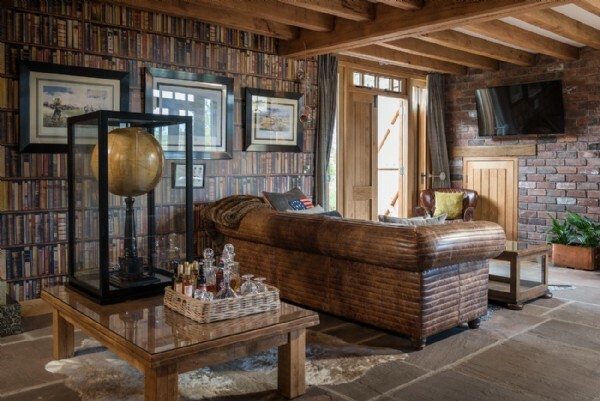 This late 1800’s renovated barn bottles up the history of the Brecon Beacons with captivating Spitfire artefacts paying homage to WWII (including an original Spitfire propeller encased in a handmade oak coffee table!). 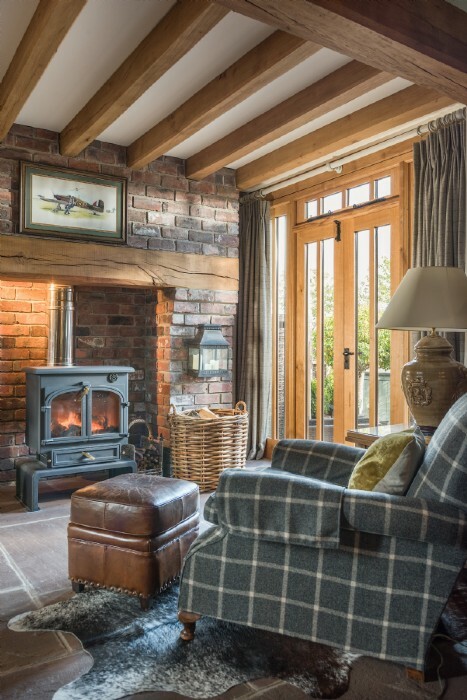 The Nightfly is the awaited escape for aviation aficionados, history lovers and walking enthusiasts wanting to explore the Herefordshire countryside and Black Mountains. 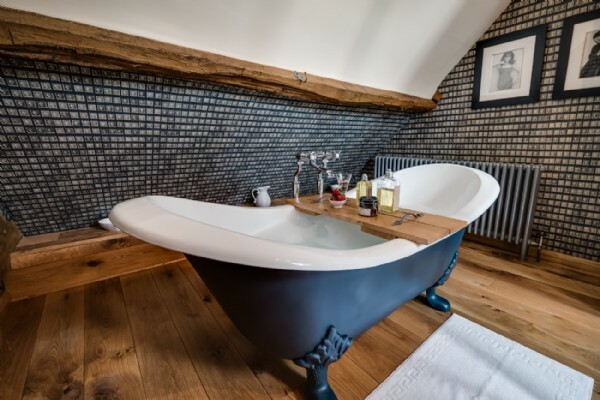 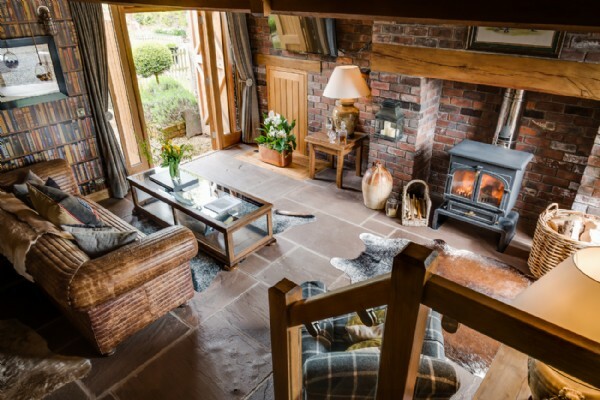 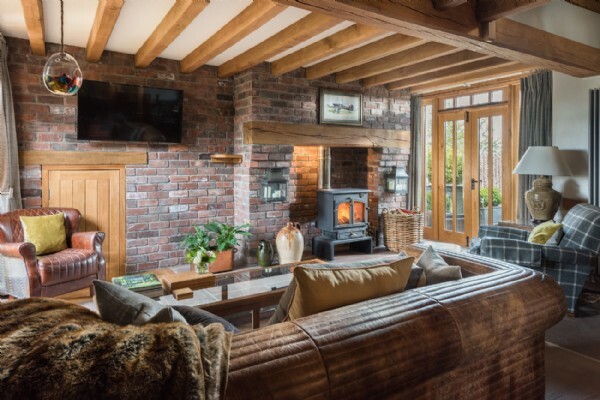 Sink into the full-grain leather sofa, feel the warmth of the traditional wood burning stove and let the glowing hot embers create the romantic ambience in this luxury self-catering bolthole for two. 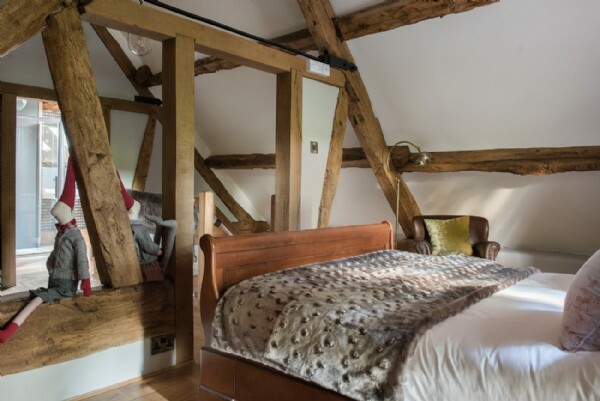 The decadent bedroom sits on elaborate oak floors and flaunts exposed oak beams overhead. 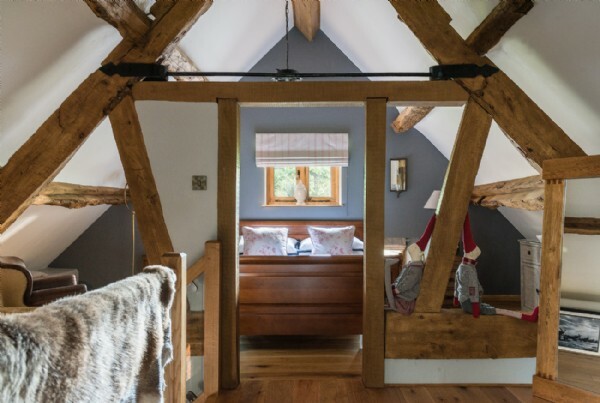 A king-size bed nestles in the eaves where the morning sun shines through the character window overlooking the rolling pastures of the Herefordshire countryside. 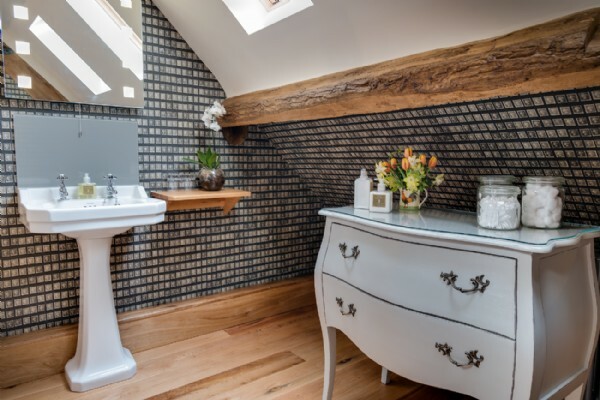 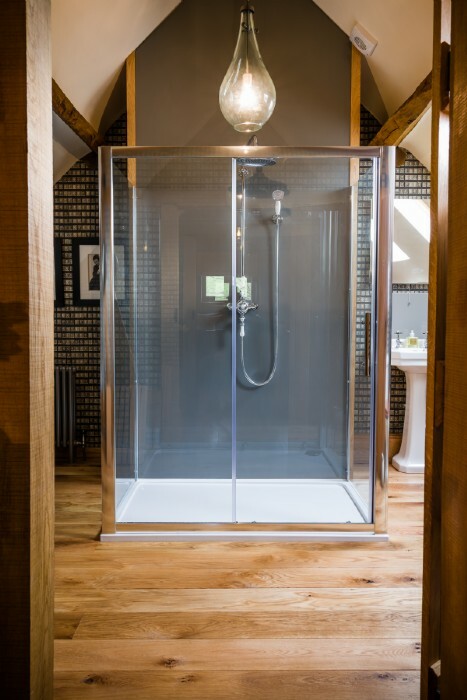 A glamorous walk-through dressing area invites you into a luxurious bathroom where exposed pendant lighting, a slipper bath and statement rainfall shower invite couples to refresh and revitalize from the day’s exploring. 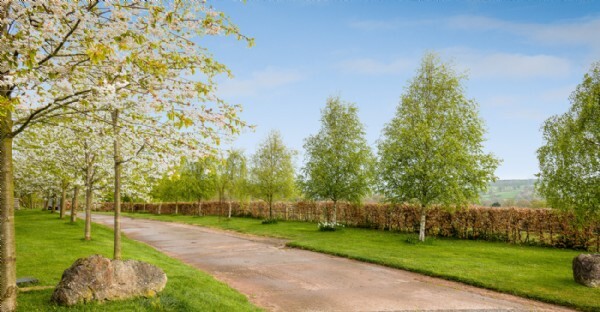 A long, sweeping tree-lined driveway creates the special, enticing approach to The Nightfly, juxtaposing the open Herefordshire landscape and rugged Brecon Beacons in the distance. 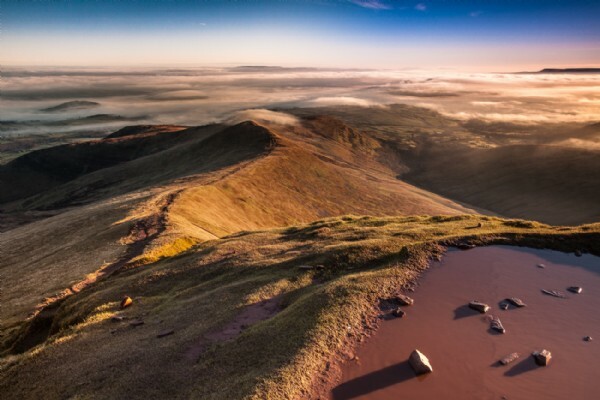 Those inspired by the barn’s unique Spitfire theme can navigate through the Black Mountains on a mission to find many iconic WWII sites of interest - something to write home about! 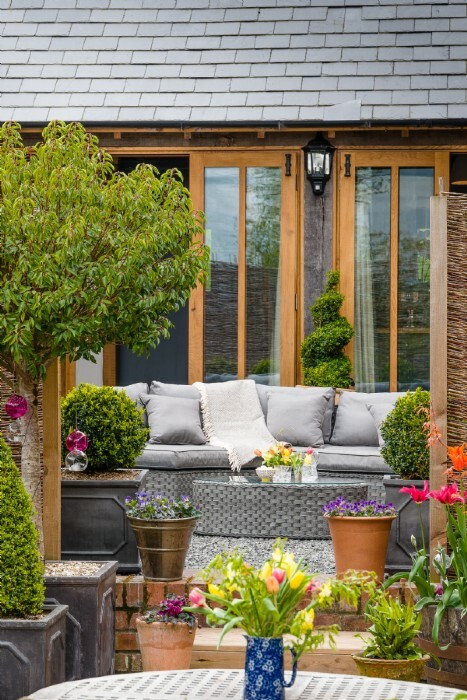 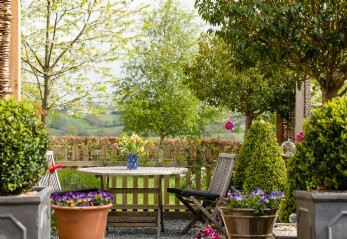 Spend summer afternoons reclining on the rattan garden furniture, whilst your loved one fires up the charcoal barbecue. 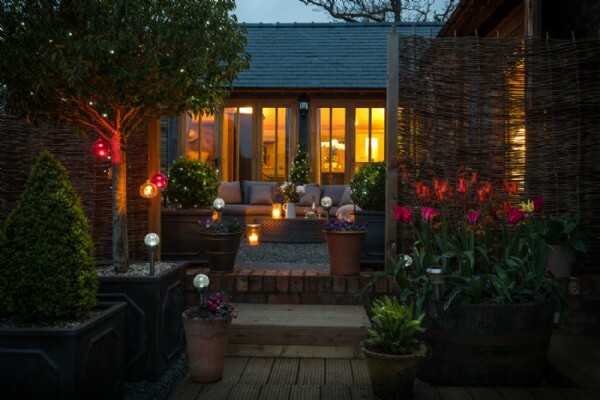 Laze into the evening, breathe in the heavenly scents of the lavender beds and calm your mind as the sunset lingers on the horizon… and relax! 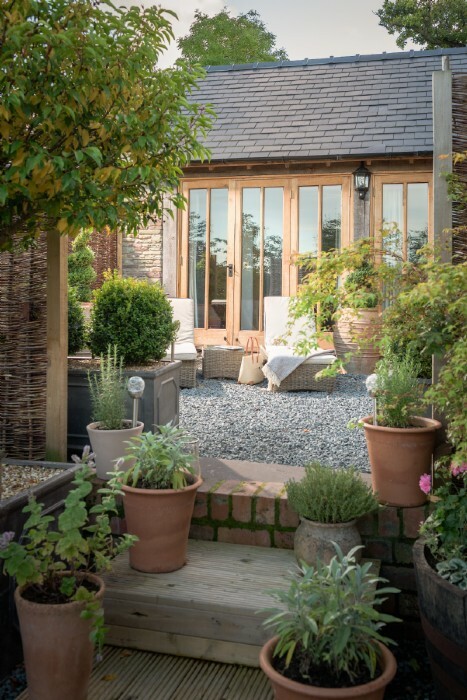 Brobury House and Gardens are a must for romantics and garden lovers, offering a wonderful day out; experience the peace and tranquillity of the terraced Victorian garden, wander the patchwork paths past water features and lose yourself in the beauty of this Victorian gem nestled on the banks of the river Wye. 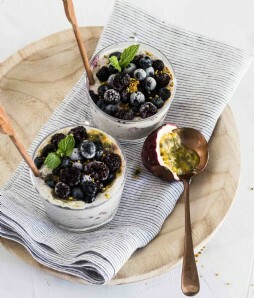 After finding the perfect picnic spot on the riverbank between pots of Hyacinths and Pansies, head to nearby Hay-On-Wye to nose the shelves of their famous old bookshops, then indulge on delicious sheep's milk ice-cream made locally in the Golden Valley. 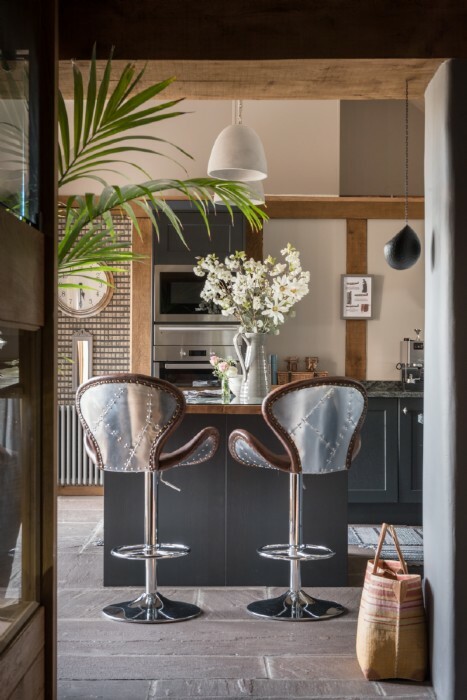 A clever mix of vintage and contemporary creates a kitchen of country dreams; featuring an electric oven, fridge freezer and dishwasher. 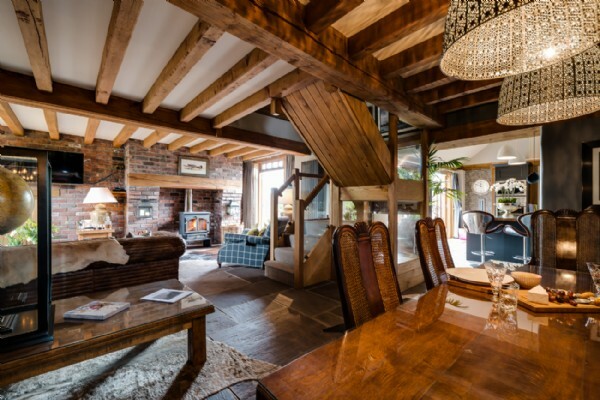 The owners, who reside just next door, are on hand should you need them during your stay. 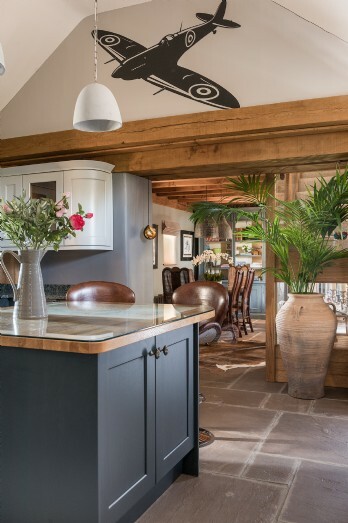 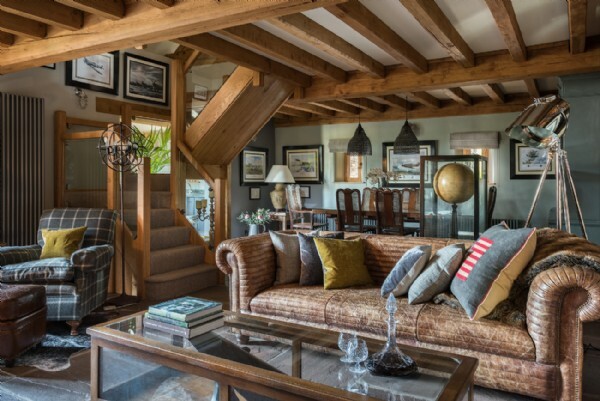 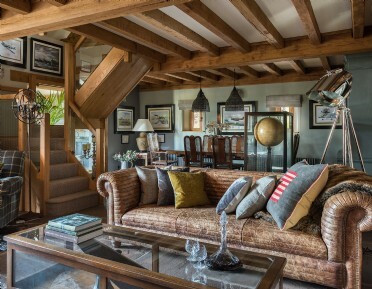 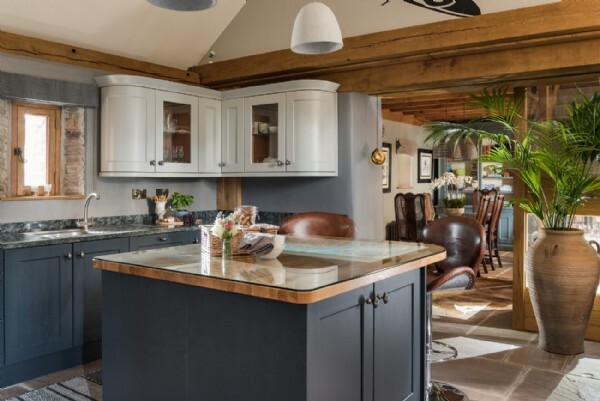 Style: This renovated barn flaunts exposed oak beams, hide-covered Hereford stone floors and solid wood furniture, all intermixed with the inspirational colours, fabrics and artefacts of the legendary Spitfire. 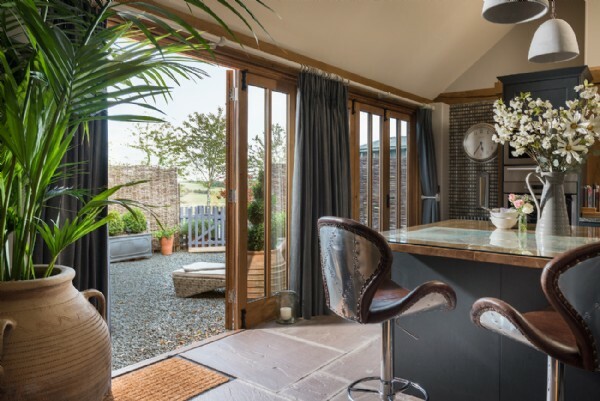 Watching the sun rise over the rolling hills with a coffee in the kitchen is the best way to start the day. 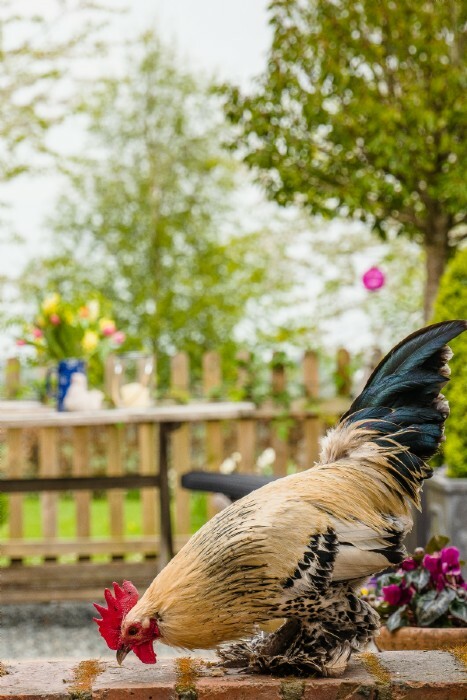 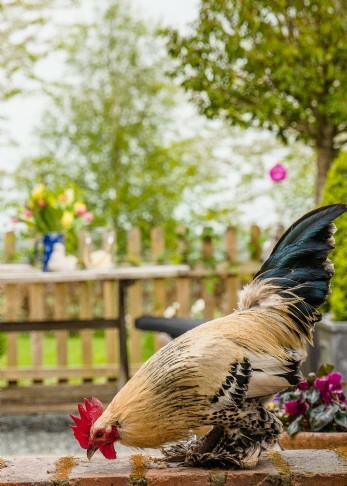 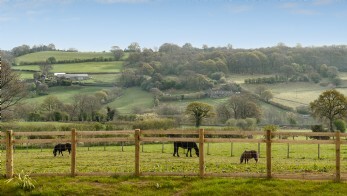 Guests often tell us how much they love to take an early morning saunter around the farm. 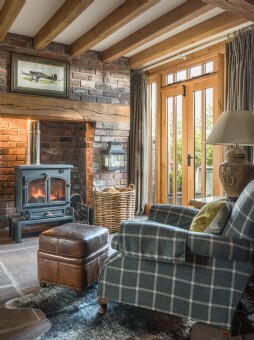 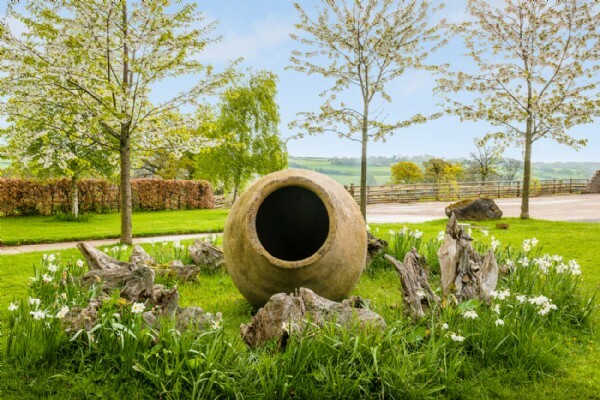 It is truly relaxing here and the perfect place for guests to unwind in the Hereford countryside. 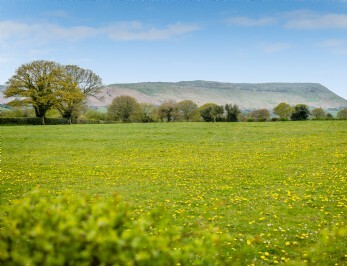 Travel to Hay-on-Wye or Abergavenny Markets to find the best of local and organic fodder. 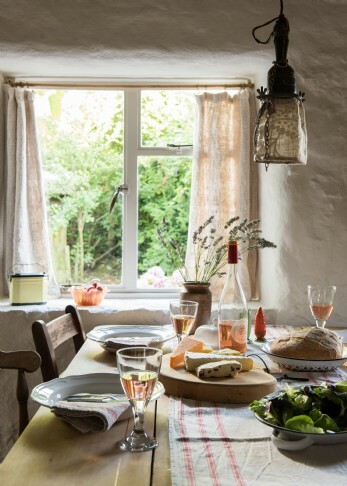 Rustic winter feasts and summer barbecues will have never tasted so good. 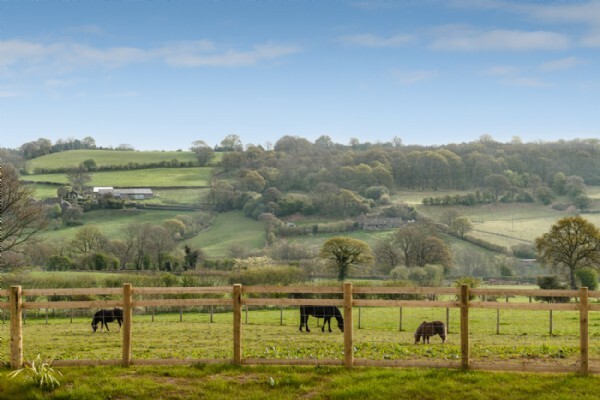 Quench your thirst with traditionally made Gwatkin Cider, or cool down with 'The Original Sheep's Milk Ice-Cream' both made in the rolling hills of the Golden Valley. 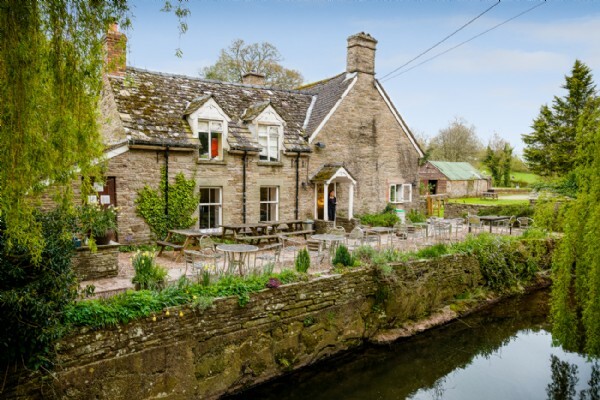 If you're a fan of good ales and first-class, no-fuss food then you'll be well-placed at one of the local inns near The Nightfly. 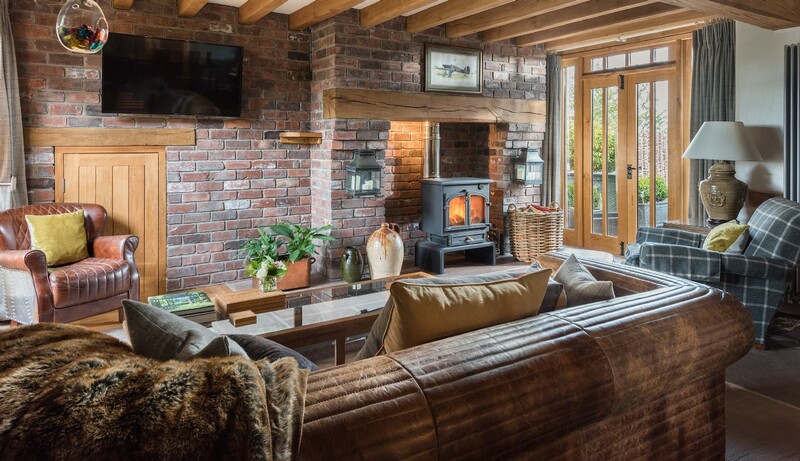 Take your pick from The Bridge or Stag Inn, but remember to book before your stay as they fill up quickly! 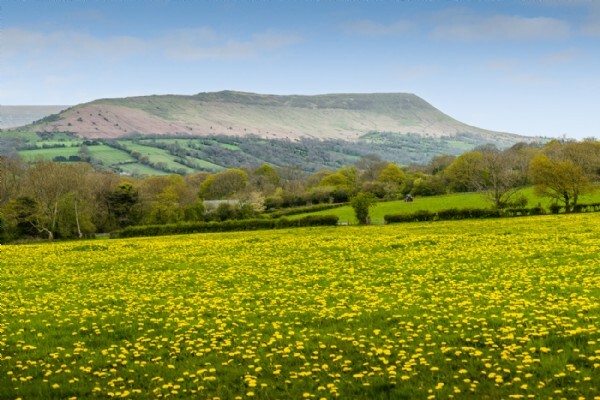 For fine dining, head to The Walnut Tree in Abergavenny or The Green Man at Fownhope.